Georgetown Law has a vast collection of foreign and international materials and librarians who specialize in foreign and international legal research. Librarians are available for reference assistance, class presentations, individual research paper consultations, and other teaching support activities. The librarians also create topical research guides and select materials for the library. 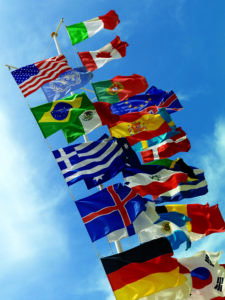 The international law collection maintains a reputation as one of the best in the country, with a strong English-language collection of resources on public and private international law in both print and electronic formats. The collection includes many of the specialized subjects within international law at an advanced graduate level, with particular strengths in international economic law, human rights, the environment, treaty law, taxation, and health law. The collection includes documentation from many international organizations, including the International Court of Justice, the United Nations, the League of Nations, the European Union, the Council of Europe, and the World Trade Organization. The library maintains foreign law collections for selected jurisdictions in the vernacular: France, Germany, Mexico, and of course Great Britain. China, Singapore, and former Commonwealth jurisdictions reflect English as the legal language or have accompanying translations. Finally, religious law – for Islamic, canon law and Jewish law – is collected primarily in English but with a strong view to integrating the materials into a unique collection for advanced comparative work in constitutional law and across the families of legal systems.